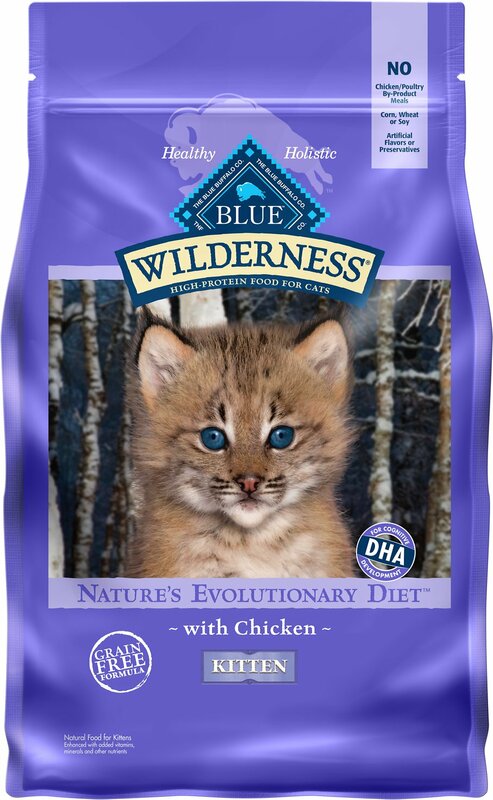 Feed your growing kitty’s wild side with the evolutionary nutrition of Blue Buffalo Wilderness Kitten Chicken Recipe Grain-Free Dry Cat Food. Made with real chicken as the first ingredient and never any grains, glutens, wheat or by-products, it packs a powerful protein punch to support your little hunter’s overall health and satisfy his cravings for meat with every bowl. 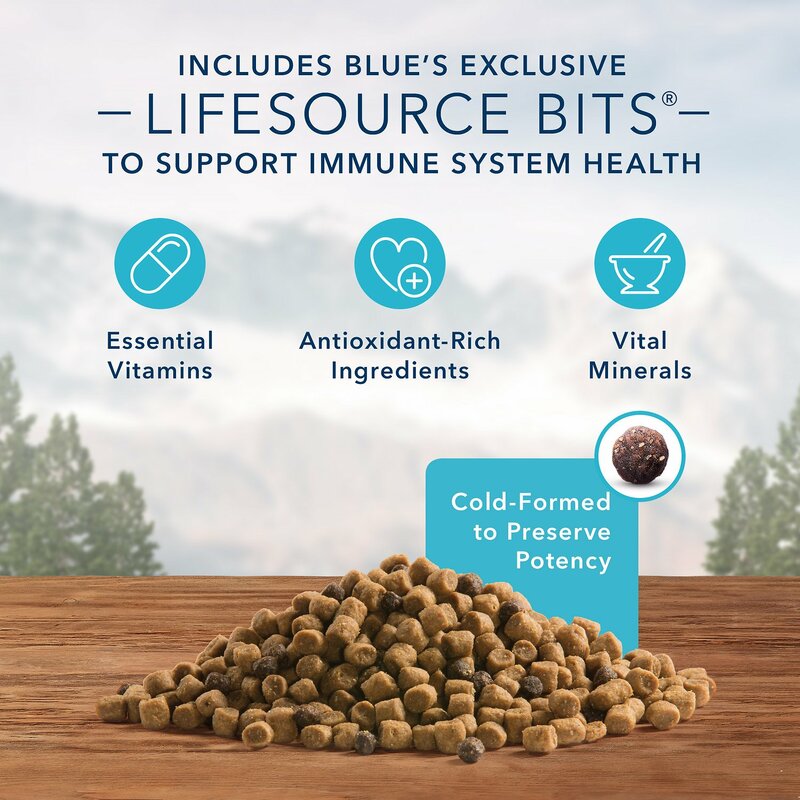 It’s loaded with antioxidant-rich LifeSource Bits―a unique blend of vitamins, minerals and superfoods to support immunity―plus omegas, taurine and essential amino acids to fuel all those indoor adventures and growth spurts. Plus, it helps maintain healthy digestion for happy tummies with probiotics in every bite. 100% grain-free kitten recipe features protein-rich chicken and fish to help build strong growing muscles. Promotes healthy growth and development with DHA omega-3 fatty acids, and vision and heart health with essential taurine. Deboned Chicken, Chicken Meal, Pea Protein, Tapioca Starch, Menhaden Fish Meal (source of Omega 3 Fatty Acids), Chicken Fat (preserved with Mixed Tocopherols), Peas, Dried Egg Product, Flaxseed (source of Omega 6 Fatty Acids), Natural Flavor, Fish Oil (source of DHA-Docosahexaenoic Acid and ARA-Arachidonic Acid), Pea Fiber, Calcium Chloride, Choline Chloride, Potassium sulfate, DL-Methionine, Dehydrated Alfalfa Meal, Potatoes, Dried Chicory Root, Salt, Alfalfa Nutrient Concentrate, Calcium Carbonate, Taurine, Sweet Potatoes, Carrots, Potassium Chloride, preserved with Mixed Tocopherols, Vegetable Juice for color, Ferrous Sulfate, Niacin (Vitamin B3), Iron Amino Acid Chelate, Zinc Amino Acid Chelate, Zinc Sulfate, Vitamin E Supplement, Blueberries, Cranberries, Barley Grass, Parsley, Turmeric, Dried Kelp, Yucca Schidigera Extract, Copper Sulfate, Thiamine Mononitrate (Vitamin B1), Copper Amino Acid Chelate, L-Ascorbyl-2-Polyphosphate (source of Vitamin C), L-Lysine, Biotin (Vitamin B7), Vitamin A Supplement, Manganese Sulfate, Manganese Amino Acid Chelate, Pyridoxine Hydrochloride (Vitamin B6), Calcium Pantothenate (Vitamin B5), Riboflavin (Vitamin B2), Vitamin D3 Supplement, Vitamin B12 Supplement, Folic Acid (Vitamin B9), Dried Yeast, Dried Enterococcus faecium fermentation product, Dried Lactobacillus acidophilus fermentation product, Dried Aspergillus niger fermentation extract, Dried Trichoderma longibrachiatum fermentation extract, Dried Bacillus subtilis fermentation extract, Calcium Iodate, Sodium Selenite, Oil of Rosemary. 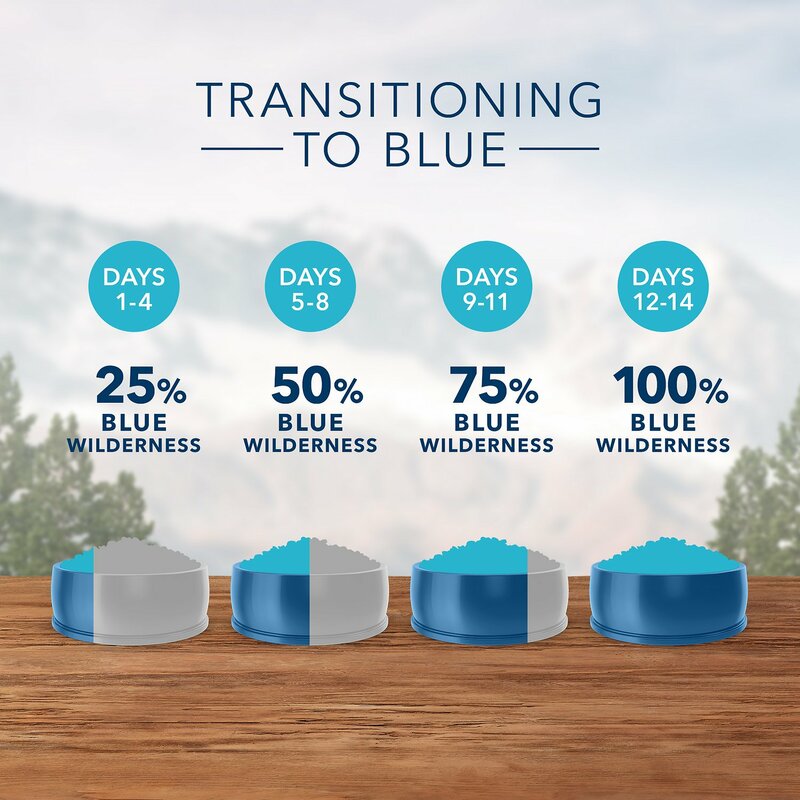 Start by mixing 25% of BLUE with your kitten's old food, and gradually increase the proportion of BLUE over the next 14 days. Healthy Muscle Growth: High-quality protein from delicious, protein-rich, deboned chicken helps develop strong muscles. Energy for Growth and Play: Essential proteins and carbohydrates help meet energy requirements for healthy growth and play. 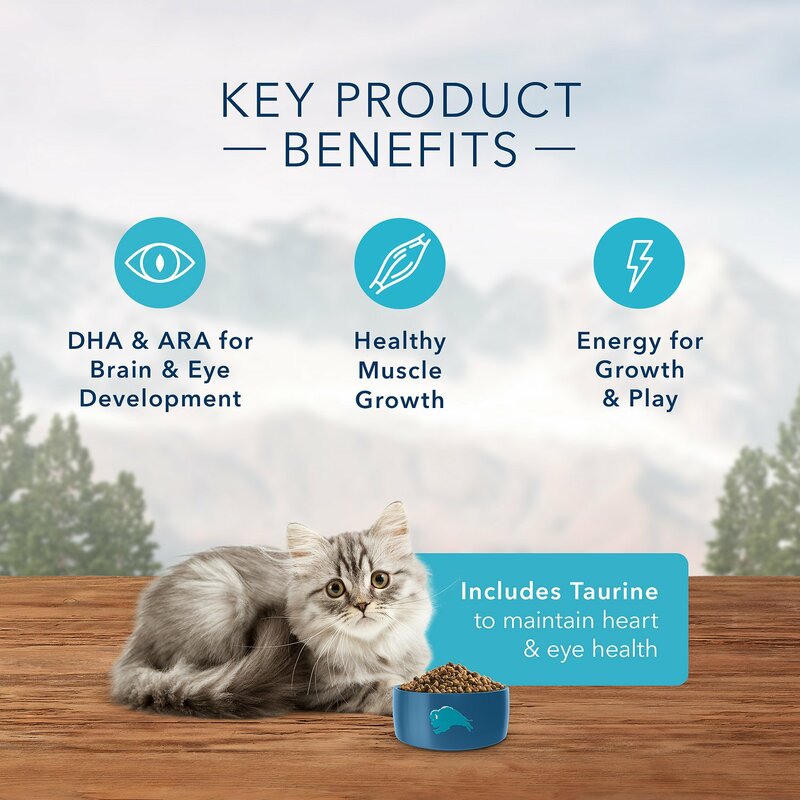 Healthy Heart and Eyes: Kittens cannot manufacture adequate amounts of taurine, an amino acid essential for healthy eyes and heart function. They must obtain this necessary nutrient from their food. Not good for our cats!! I really wanted the cats esp. our new baby to eat this food esp. because it has a lot of good nutrients . We thought if we gave it to him as a snack he might eat it better. No way!. I have spent soo much money on different types of food for these boys. I bought all that Hawian tuna for them. The Animal care and control loves to see us coming because we bring good and expensive food for them. I guess we will just keep trying to find something they like! I saw the commercial on TV, and thought I would give it a try, since I recently had foot surgery and was unable to drive. My kitty, He just Loves His new food, and the great thing about it is, his poop doesn’t stink like with so many of the catfoods out there! I highly recommend this product oh and another plus, having the cat food and litter delivered, Idont have to carry up the stairs! My kitten loves this food. This was my first time purchasing this brand for him and he loves it. I decided to switch his dry food because he started playing with it more than eating it. He really enjoys eating this brand. I can not wait for him to become a mature cat so that he is able to enjoy the other options of dry food this brand offers for cats! 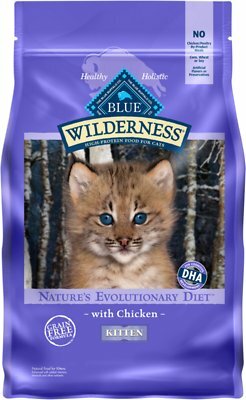 I’ve seen this food be so highly recommended and upon adopting my kitten I was happy to learn that this was his favorite. However, I think he’d prefer wet food to dry any day of the week. That’s just a preference that withheld the fifth star. This along with Royal Canin and authority are my go- to brands. 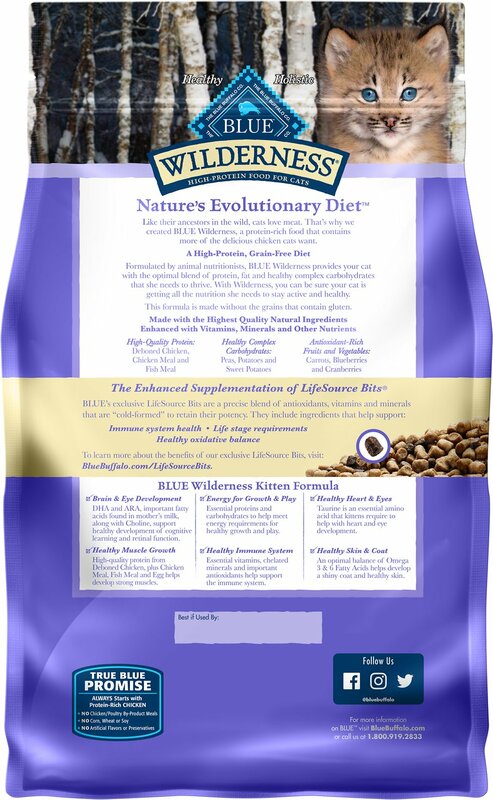 We recently got two Bengal kittens and the breeder was feeding Blue Buffalo and Simply Nourish. The kittens love the food, its healthy, and compared to past cats, their poop does not stink! I have Seneca cat he likes the cat food but he keeps putting his would and if so I had to go and buy a new water dish for him and things at working out for right now good. My kitten loves this. What is also nice, I can get a larger bag through chewy, than at my local market. And I can get it at a better price. 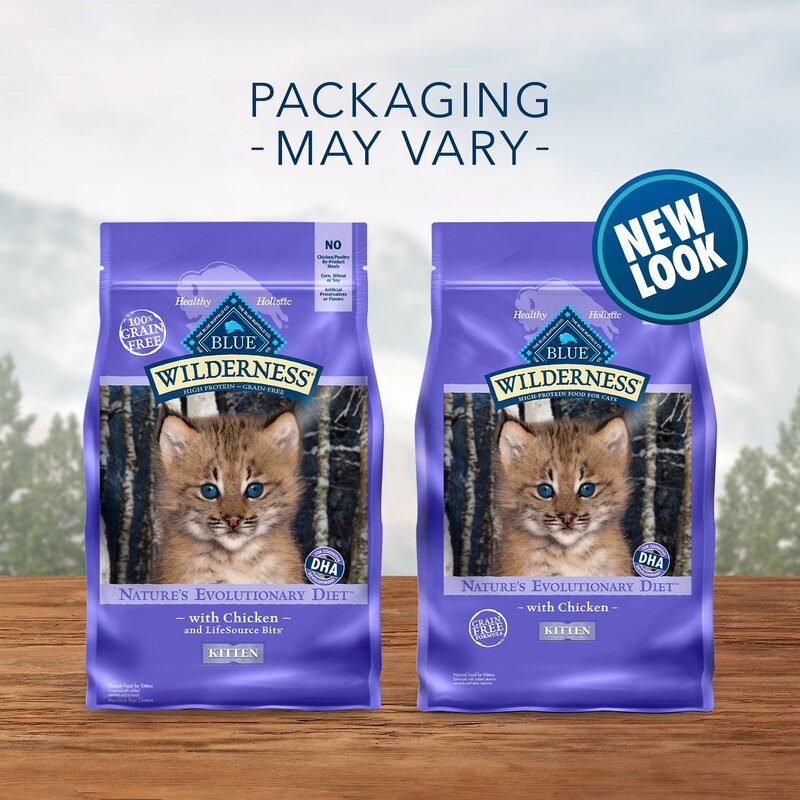 I rescued a wood pile kitty eight weeks ago and tried another top brand, which she refused to eat and gave her some gastrointestinal problems. She loves Blue Buffalo and is growing like a weed! I have celiac and greatly appreciate that this feed does not contain gluten. My kitten can snack and snuggle without risk of cross contamination to me by transferring gluten from her face, paws, and fur to my hands, mouth, etc. Five stars for sure! 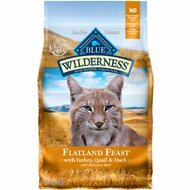 This is the first food I felt comfortable giving my cat as I was transitioning her from mostly wet food it is perfect for my cat not too big, crunchy but not rock solid, but most importantly has helped me get my kitty into good health as she was a rescue from the streets. She loves this cat food.